–Check for last-minute hotel and airfare specials. 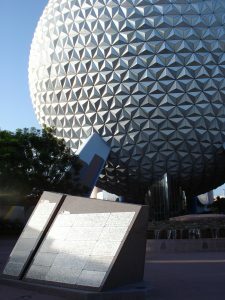 mousesavers.com has a great primer on discounts at hotels near Disney World. You can even see if there are last-minute specials for Disney Vacation Club points. David’s Vacation Club Rentals has a “Last-Minute Specials” e-mail newsletter that you may want to check out. And of course you’ll want to check directly with Disney World at their Special Offers page — often they will announce specials for the next month or two. –Make dining reservations. If you want to eat at any table service restaurants, make dining reservations as soon as you know your travel dates. Keep in mind that some of the most popular restaurants will be completely booked up at a couple months out, but don’t get discouraged! Disney Food Blog has a great list of popular table service restaurants with some great alternatives if you aren’t able to get your first choice. –Check crowd levels and weather forecasts. If you’re making a last-minute trip, you’ll want to know the weather forecast and the crowd level forecast. Consider subscribing to touringplans.com to create a customized touring plan for your family, especially if you are traveling down at peak times of year. Once you’ve subscribed, you can download the Lines app for Android or iPhone to view wait times. And be sure to check that weather forecast before you depart, and pack accordingly! Do you have any tips for last-minute trips to Disney World? Leave a comment below! This entry was posted on Monday, June 27th, 2011 at 9:51 pm	and is filed under Planning. You can follow any responses to this entry through the RSS 2.0 feed. You can leave a response, or trackback from your own site.